The Jabiru aircraft is a tried and tested concept in Australian aviation. As at 31 January 2012, Jabiru Factory built aircraft made up 38% of the RAA 24-registered aircraft competing with over 100 aircraft manufactures available to the Australian market. Jabiru aircraft are used for recreational flying, flight training, rural property management, commuting, surveillance and surveying. Jabiru airframes are manufactured using Fibre Reinforced Plastic (FRP) technologies. It is a system which offers light weight at the same time as high structural integrity, clean aerodynamic design. The Jabiru aircraft is powered by a Jabiru 4 cylinder 4 stroke 2200 cc or a 6 cylinder 3300 cc air cooled engine. This Australian designed and manufactured engine has been developed specifically for use in the Jabiru aircraft and is fitted with dual electronic ignition. 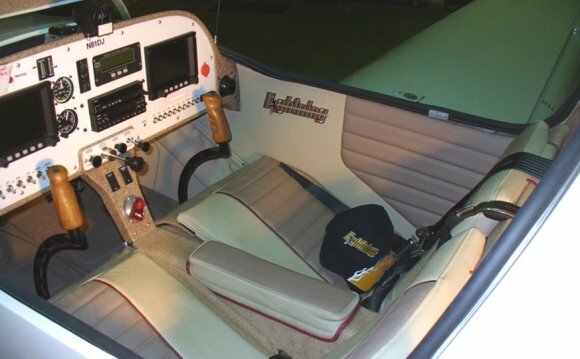 The Australian Regulations were amended in early 1989 to permit Light Sports Aircraft to be certified in the Primary Category. Aircraft in the Primary Category are fully Type Certified by the Civil Aviation Safety Authority (CASA), and are fitted with approved engines and Type Certified Propellers. All design and flight testing is supervised and approved by CASA specialists. The Jabiru UL-D and J160-C are Type Certified by the Civil Aviation Safety Authority (CASA). The J230D, J170-D, J160-D and J120-C are designed to CASA accepted standards for Light Sport Aircraft CASR Subpart 21.H. Jabiru can be piloted by a RAA certified pilot outside controlled airspace. An RAA pilot may operate from licensed airports and may also, by endorsement, carry a passenger. A pilot holding both a RAA Pilot Certificate and a Private Pilot License may also fly a Jabiru into controlled airspace if equipped with a transponder. The high cruise speed of the Jabiru, low fuel consumption and long endurance make low cost air touring a viable proposition for an RAA certified pilot. An RAA Pilot Certificate may be obtained in any RAA approved flying school after completing a minimum of 20 hours instruction (significant credits for hours are available to Private Pilot License holders and Gliding Federation of Australian pilots). With VH registration, the Jabiru must be piloted by a Private Pilot License holder and is flown under general aviation rules (VFR- by day). The experience accumulated with an RAA Pilot Certificate counts towards the Private Pilot License or Commercial Pilot License, significantly reducing the costs of flight training. The Jabiru J230 aircraft has a wide cockpit, high cabin, ample leg room and a big baggage compartment in the back. It is the same shape as the J430 but doesn't have rear seating. It can be RAA or VH registered. The J230 can have a Special Certificate of Airworthiness for Night VMC with VH registration when fitted with the Night VMC options. The Jabiru J170 aircraft has been developed as an aircraft under the Australian LSA (Light Sport Aircraft) category. The fuselage is wider that the J230 and the J120. It uses the same horizontal stabilizer and elevator and wing as the J230. It can be RAA or VH registered. The Jabiru J160 aircraft has the same wider cockpit higher cabin and leg room as the J170. Jabiru has an Australian Type Certificate in the primary category for the J160C as well as a production certificate. The J160D is produced under the CASA LSA category which is based on ASTM LSA compliance. The Jabiru J120-C aircraft has been developed as a low cost personal aircraft and based on the Jabiru kit SP version. It has the same cockpit size as the original factory built LSA 55/3J but a longer empennage for a better directional stability. The cockpit layout is the same as the J160-C /J170-C with electric flaps. This aircraft has been built to the CASA LSA (Light Sport Aircraft) standards. The Jabiru UL-D has been designed to meet the UK Microlight Standard of 268kg max empty weight and 450kg gross weight and the 35 knots (65km/hr) stall speed. In some countries, Jabiru aircraft may come under a Microlight category or may not be regulated by the particular country's Civil Aviation Authority. For these markets, Jabiru kit aircraft such as the J430 may be available as Factory Built Aircraft. Contact Jabiru for more details or contact the dealer in your country.